The time has come and the day has arrived! Our quest for the young talented minds that challenged all norms, shattering milestones, and disrupting the industry with innovations has finally reached its destination. 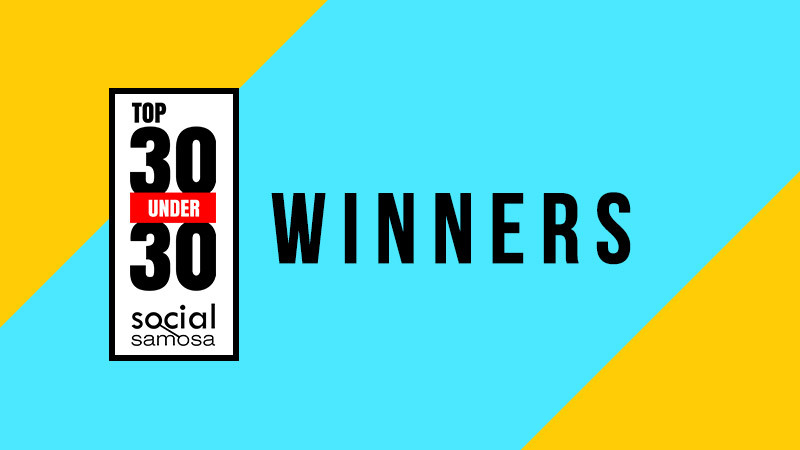 Alongside an illustrious jury panel, we are proud to present the winners of Social Samosa Top 30 Under 30. The young guns of today and the thought leaders of tomorrow, these 30 individuals have proved their ability to tread unchartered territories in their passion to achieve the best. The wait is finally over, so, sit back and watch out as you are about to familiarize yourself with the people who are destined for greater things, and have already scripted some impressive victories. Having said that, our jury panel has had an incredibly difficult time with the evaluation process, as each entry boasted of quality work done by a person of substance. After hours of contemplation and many, many close calls, the jury members agreed on the Top 30 Under 30 social media professionals for this edition. Kapil Unnikrishnan, Director West – Social Media at Mindshare. Umang Srivastava, CEO at Momo Media. Subrat Kar, CEO and Co-Founder at Vidooly. Jasmita Dhonsi, Digital Marketing Manager at Godrej Interio. Ancita Satija, Founder at SocialPowWow. Priyanka Joshi, Copy Supervisor at Ogilvy, Mumbai. Prachi Karan, Media Director at Isobar India. Rahil Mohammad, Brand Strategist at Foxymoron.